Harsh weather conditions can often result in broken or uprooted trees. 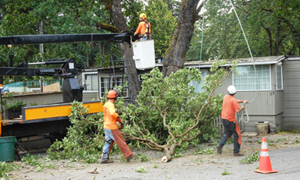 Having a reliable tree climbing service you can call during a storm is a huge weight off your shoulders. If you want a professional tree climbing service at a competitive price, you have come to the right place. 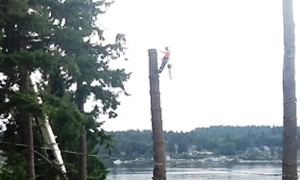 Hunter's Tree Service is the leading tree climbing service provider in Federal Way, WA. We offer tree climbing service to both residential and commercial clients. 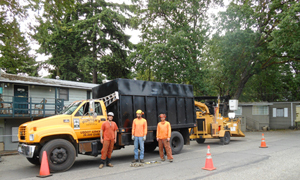 We pride ourselves on providing a safe and reliable tree climbing service in Federal Way, no matter how big or small the job. A homeowner can prune trees when they are small, but for pruning large trees, it is best to hire a professional. Pruning large trees may require a ladder and a chainsaw, making it a very dangerous task. This is especially true if the tree is close to a property, a street, or a power line. Why Choose Us for Trimming Tall Trees in Federal Way? Are you wondering how to trim tall tree branches? You may think that you are fit for trimming tall trees, but in reality, you should always hire the experts. By trimming tall trees on your own, you may cause more damage than good. You may not be able to identify the signs of a weak branch that is vulnerable to falling while others are being attended to. If you have a tall tree, trimming it on your own can lead to severe damages to your neighbor's property, as well. Without the right knowledge and experience with the techniques required for trimming tall trees, you can end up damaging yourself and your property. For help trimming tall trees in Federal Way, call Hunter's Tree Service at 253-777-1938.